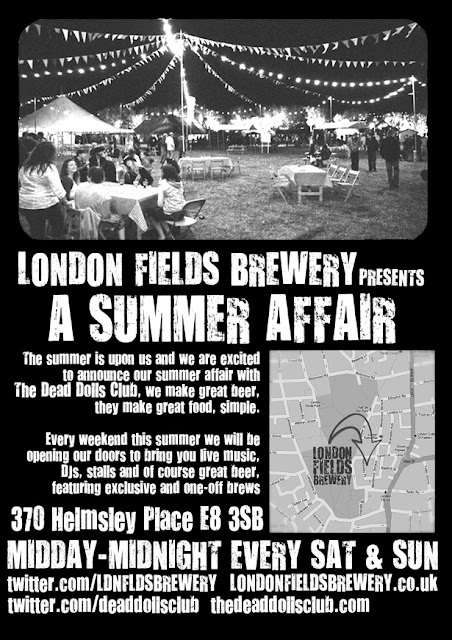 This Summer London Fields Brewery & the Dead Dolls Club are hosting a Summer Affair. Every weekend this summer London Fields Brewery are opening their doors & welcome you to come & drink beer (most of which is brewed on site!) & eat some high quality tasty BBQ as cooked by the Dead Dolls Club. There will also be an array of live music acts to entertain throughout the day too. Plus every last weekend of the month there will be a selection of stalls offering you a wide variety of handmade crafty goodies. So this June on Saturday the 30th, SewSmitten will taking up a spot selling our lovely handmade wares, so pop along for great beer, tasty food, live music & crafty shopping! What more could you want? I was just surfing on internet and found your blog after reading this i realize that i should come here often.